General Electric (GE) popped up by over 10% yesterday after announcing sale of its finance segments as well as selling off its real estate assets totaling over $26 Billion. GE also announced a massive buyback of $50 Billion buyback program through 2018 and expects to reduce the outstanding share count by about 20%. All this information caused the stock to reach a 52-week high of $28.68. Though this is just a pop due to investor frenzy and I expect the stock to drop a bit in the next few days/weeks, I am hoping that these are nice moves for the long-term performance of the stock. GE was one of the very first stocks that I purchased when I started investing in 2009. It has been almost 6 years since I first purchased 30 shares of GE at $13.03 on 6/15/2009. I have been a fan of GE stock and since then I have added more shares often. My last purchase was for 100 shares at $25.00 on 1/27/2014. Right now I hold 375 shares in my accounts combined and based on Friday’s (4/10/2015) closing price of $28.51, my total value in GE stock exceeded $10,000 thus giving me my first $10K stock in my portfolio. GE currently pays a quarterly dividend of $0.23/share and yields a reasonable 3.23% even after the pop yesterday. GE has been increasing the dividend from 2009 after cutting it during the financial crisis. Earlier this month, I posted Part 1 and Part 2 of Three $100 stocks in which I looked at PEP and JNJ numbers a little closely. Today I want to look at Disney (DIS). Like I mentioned earlier, I hold positions in all three stocks and hence have been following them quite closely. Each stock is in a different sector and different growth phase and also moving in different directions lately. I initiated positions in these companies in the recent past (within the last 6 months) and have been adding to these positions as part of my weekly purchases as and when price made sense. Last week I had posted Part 1 of the Three $100 stocks in which I looked at the numbers of Pepsi (PEP) a little closely. The second stock that I want to look at is Johnson & Johnson (JNJ). Like I mentioned in my previous post, the 3rd stock that I will talk about is Disney (DIS). I hold positions in all three stocks and hence have been following them quite closely. Each stock is in a different sector and different growth phase and also moving in different directions lately. I initiated positions in these companies in the recent past (within the last 6 months) and have been adding to these positions as part of my weekly purchases as and when price made sense. The following three stocks are around the $100 mark for the past few weeks and I have been wanting to write about them for a while. I hold positions in all three stocks and hence have been following them quite closely. Each stock is in a different sector and different growth phase and also moving in different directions lately. The three stocks are PEP, JNJ and DIS. I initiated positions in these companies in the recent past (within the last 6 months) and have been adding to these positions as part of my weekly purchases as and when price made sense. 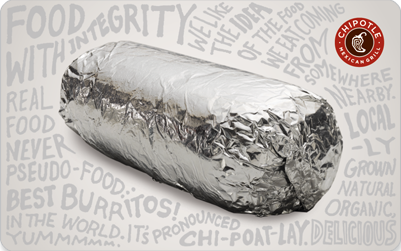 Chipotle is a one of my favorite fast food restaurants and I am pleased to be a shareholder as well, especially after the wonderful results they announced earlier this week. They literally blew away all expectations. Even people who are not familiar with gadgets/smartphones/tablets etc know iPhones/iPads. iPhones/iPads are synonymous to smartphones/tablets for most people. That’s how ubiquitous the Apple brand is. Being the largest company (in terms of market cap) doesn’t hurt either. That’s one of the reason, Apple occupies more than its fair share of coverage in the media as well as among the common people in spite of being a tech company.